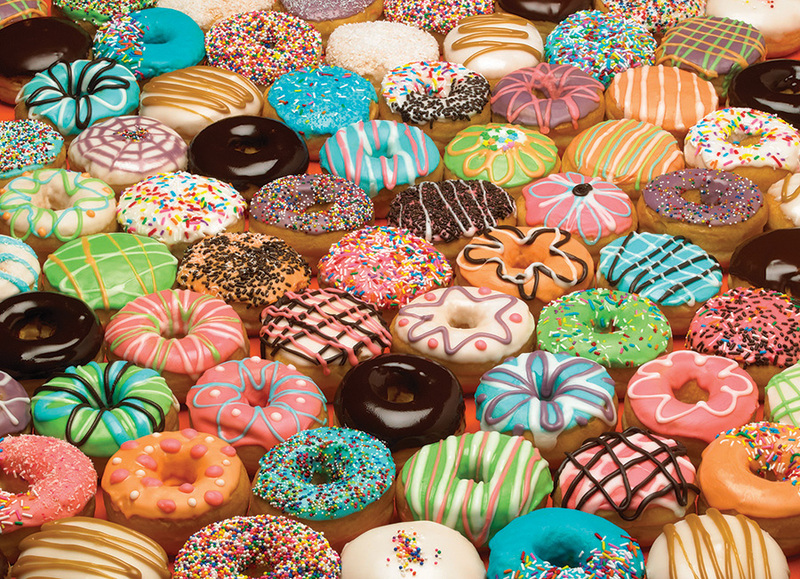 'Doughnuts' and sprinkles in all the colours of the rainbow! We suggest you pick up a real pack of doughnuts to dunk while you indulge in this 1000 piece puzzle by Cobble Hill. It's a best seller, so it must be fun to the last crumb! Doughnuts designed by Leia Vik of Vik Creative. Item # 80035 Weight 1.61 lbs.